Tannasha Donna, Diamond Platnumz’s girlfriend is going places if a statement by the Wasafi CEO is anything to go by. 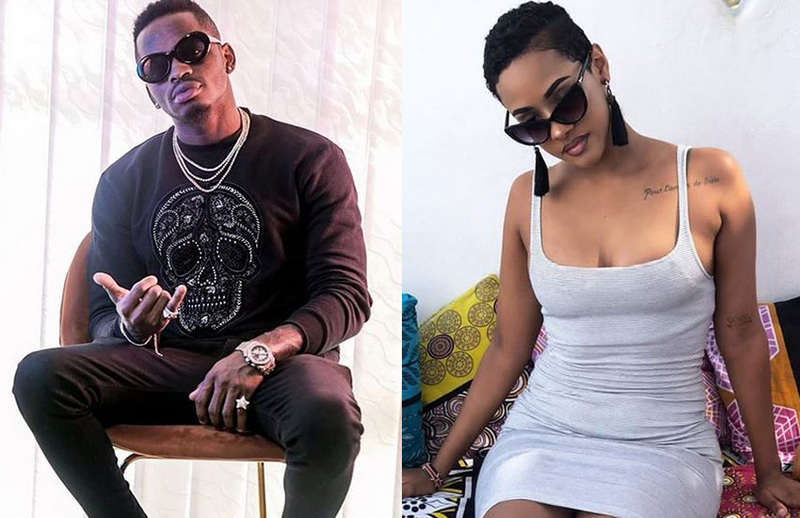 The Bongo Fleva sensation has revealed that his Kenyan sweetheart will soon have a job at his Tanzania based station, Wasafi TV. While explaining that that Donna has been shuttling between Nairobi and Dar es Salaam, his base, the singer affirmed that she will have her own show. “Anatangaza, anafanya kazi right? Kipindi chake huanzia jumatatu saa mbili usiku mpaka saa sita usiku, mpaka alhamisi. Kwa hio ina maana anaingia kazini Jumatatu, alhamisi ikishafika saa sita usiku yeye kashamaliza kazi. “Asubuhi kesho yupo hapa mjini anadamshi kama kawaida, anawakera tu halafu Jumatatu tena arudi, ndio hivyo hivyo yaani…Atakua na programme Wasafi TV,” said the mogul. Donna is a radio presenter at NRG. The move by the bongo music heavyweight is galaxies away from the little turbulence that his much publicised relationship with the radio queen after he postponed his February 14 wedding.